Building a small scale integrated aquaponic system can produce more food with less energy, space, time and resources. With the increasing demand for food and growing world population, building an integrated aquaponic system could be the answer for feeding everybody around the world. The world’s ocean fish stock has already been depleted and overfished. Today, over 40% of the world’s demand for seafood is supplied through aquaculture. Experts believe that this demand will keep on increasing. So, aquaculture could really become the answer to the global food crisis. Building an integrated aquaponic system would allow you to feed your family with home grown organic vegetables and fish. Aquaponics can be done on any scale and the system you build is attractive enough to be placed anywhere, indoors or outdoors. Many people have setup attractive systems in their living room, basement, backyard, on roof top, balcony, patio – anywhere where they have some additional space. We will give you a simple step by step by step instruction here on how you can easily build your aquaponic system that integrates fish and vegetables together. The main principle of the integrated aquaponic system is to grow fish and vegetables together in the same place. Waste from the fish tank is used by the plants as food and purify the water for the fish. So this is a circular system where waste from one system benefits the other. It utilizes energy and feed more efficiently than conventional farming. There are many ways to build an aquaponic system where you could raise fish and grow vegetables at the same time, without soil. This system is profitable, sustainable and reliable way to grow your own food. Water pump – An aquarium pump is enough to keep the flow going. Air pump. This system can produce more if it has an air pump to supply oxygen. Step #1. Cut the PVC pipe into six pieces of one foot sections for the sides. Cut two 14 inch sections for the ends. Drill two 3 inch-diameter holes in each of the 1ft side pieces. Drill a 1 inch-diameter hole into the side of one of the end pieces. Connect the pieces with electric tape. Step # 2. Cut the vertical pipes to suitable length. 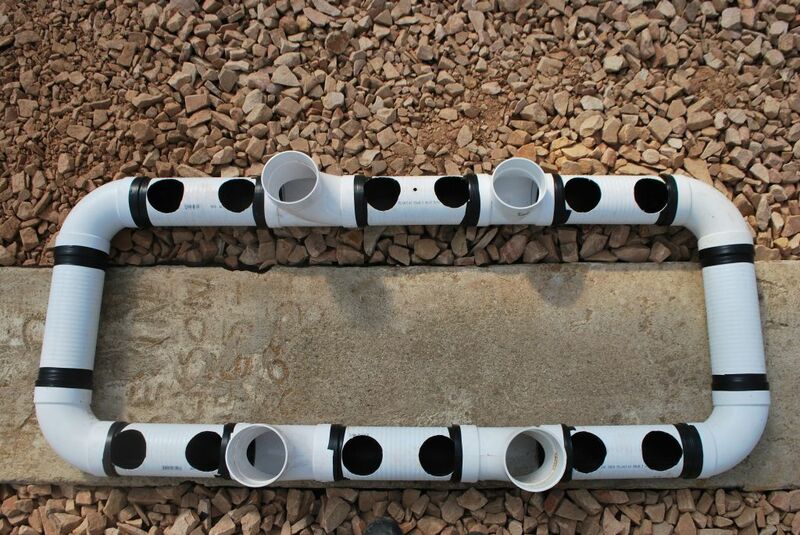 Drill 1 inch-diameter holes in the vertical pipes evenly. Insert the vertical pipes. Step # 3. Make holes in the bottom of plastic cups and place them in the holes you made in your side PVC pipes. Step # 4. Make a one inch diameter hole in the side pipe. Cut a piece of one inch diameter pipe for drainage and insert it in the hole. Drain should pour into a 50 gallon drum or you can use any other kind of container or aquarium for raising fish. Step # 5. Place your circular pipe structure on top of your drums. Your system is ready. Fill your tank with water and fish. Start circulating water throughout the system. Place plants in your cups and fish in the drums or aquarium. 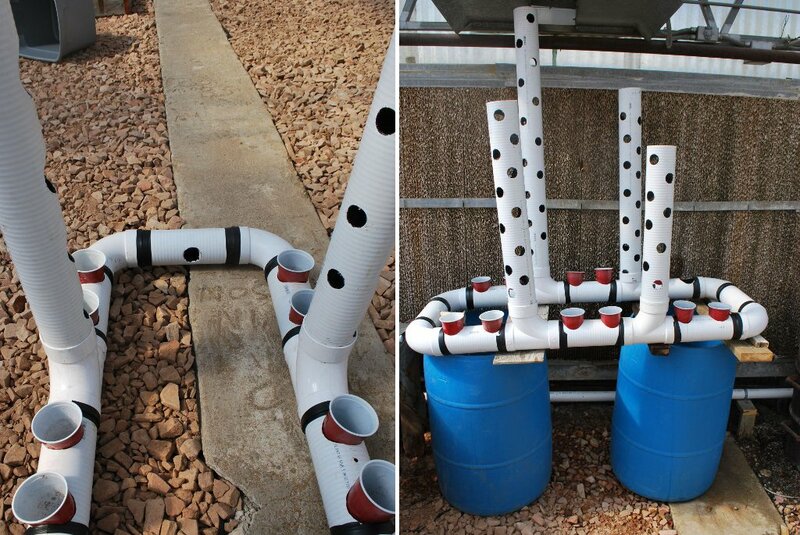 This is one of the simplest ways to make an integrated aquaponic system. These systems can scale up to a commercial size, so if you have enough space, you could easily generate a steady income from home, in addition to feeding your family freshly grown vegetables and organically raised fish. We will give you more information on aquaponics and farming systems in our later blogs, so please keep reading our blogs. Please provide your feedback on our Facebook page or in the comment box below. 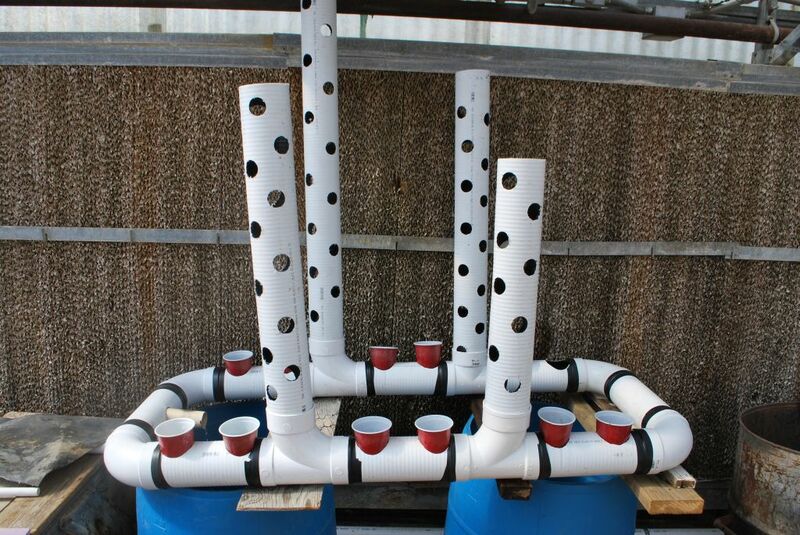 Want to learn more about aquaponic system? We can help. Please contact our office at 303-495-3705 or Click Here to book a meeting with us. What are the vertical pipes for & why do they have holes in them? Are the barrels connected? This is not explained very well. Thanks for your comment! I’m not the expert, but will pass your question along to Dr. Wayne Dorband. We have a very cool program that is free right now called the Ecolonomic Action Team (EAT), you can join that coaching/teaching/mentoring/networking program by going to ceed.mykajabi.com. very good. what are vegetables that can be grown?